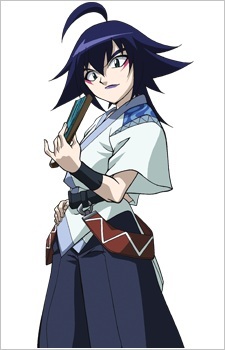 Ryutaro Fukami (深海流太郎, Fukami Ryutaro) is a recurring character in the Metal Saga, making his debut in Beyblade: Metal Fusion as an antagonist. He was a member of the Dark Nebula and a ruthless blader when combined with his Bey Thermal Pisces T125ES. His special ability is foreseeing the future, although nothing is known on how concrete and accurate his visions truly are.